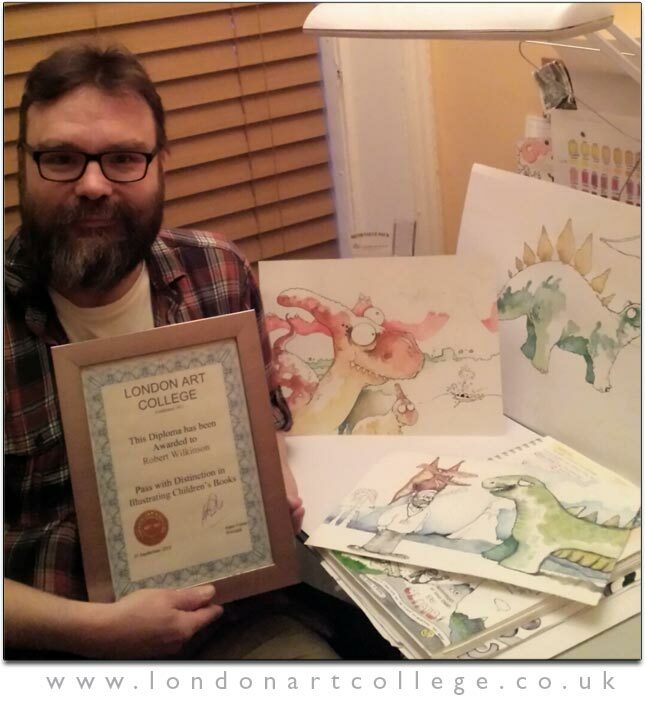 Jonnie Griffiths recently completed the Cartooning Diploma Course with tutor John Byrne. 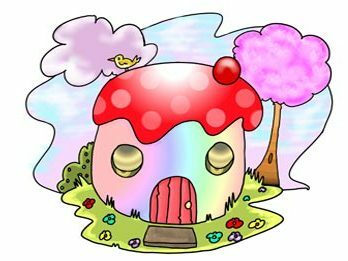 Since completing the course Jonnie has been working hard on his drawing and cartoons, trying to promote himself and his work. 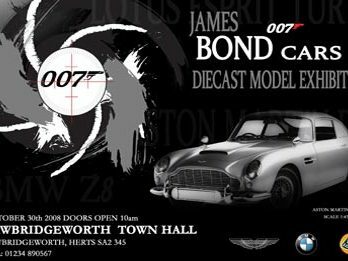 We have just received an email from Jonnie below which we are thrilled with. We thought we would share the news on our College news blog to congratulate him officially. “It’s been a while but as ever I’ve been working hard on getting cartoons drawn and looking at publishers, etc. I’m delighted to say I’ve had 12 of my cartoons printed on greeting cards from a local printing firm. I’ve also set up Facebook and Twitter accounts for my work too which you can see at the links below. You can see one of Jonnie’s cartoons below. We have to admit to being in love with Pinterest! We are having fun pinning lots of wonderful things to our boards! Are you a Pinterest user? Why not pop over and follow us and see what we are pinning. Let us know and we will follow you back and see what you are pinning too. You can see some of our boards in the screen capture below. What would you like to see pinned? Do you have a passion about art? What kind of art? Perhaps we can create a board specifically for your genre of art. We have been finding information and websites to help students in general and give them some inspiration. For instance one board that seem to be very popular is ‘Sketchbook Ideas’. Sketchbooks are something all of our students – or most of our students – drawn, paint, and doodle in on a daily basis. We have lots of creative minds to occupy, so this board will be an inspiration for you! 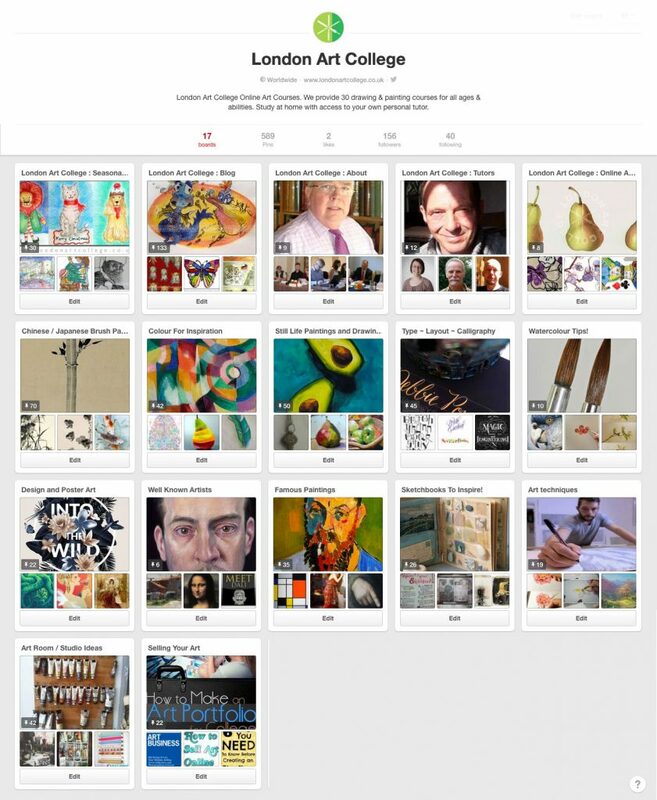 Also our ‘Selling your Art’ board is one that is read often. 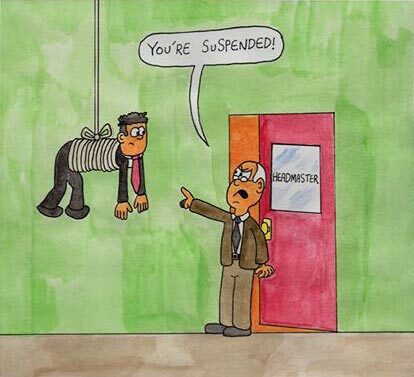 After all students are continuously creating the most wonderful pieces of artwork. The end goal for many students is to sell, promote and gain work from their art. Hopefully this board will ‘Pinterest’ you! So let us know what you think about Pinterest and come over and follow us today! Lets all hope that this isn’t going to be the case for the Summer here in the UK! 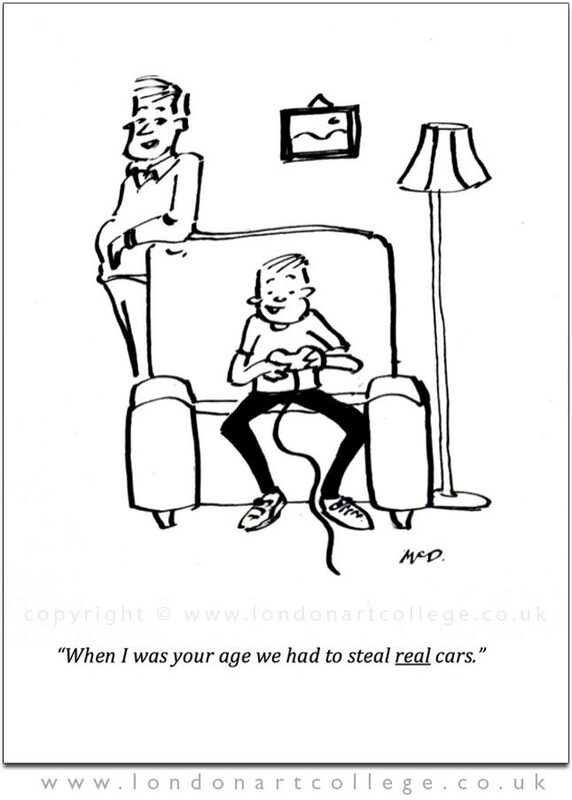 This cartoon was created by student Chris Jaffe whilst studying with John Byrne on the Cartooning Diploma Course. 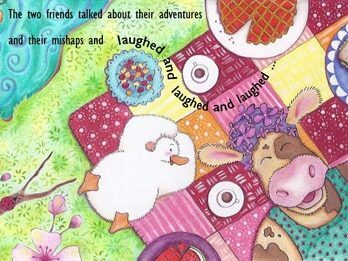 Charmian Kaiser completed this wonderful collage while studying with Maggy Roberts on the Illustrating Children’s Book Diploma Course. Students are set a number of assignments throughout the course and in this assignment, students are asked to play around with wet in wet washes and collage. The object is also to tell a story through their composition. 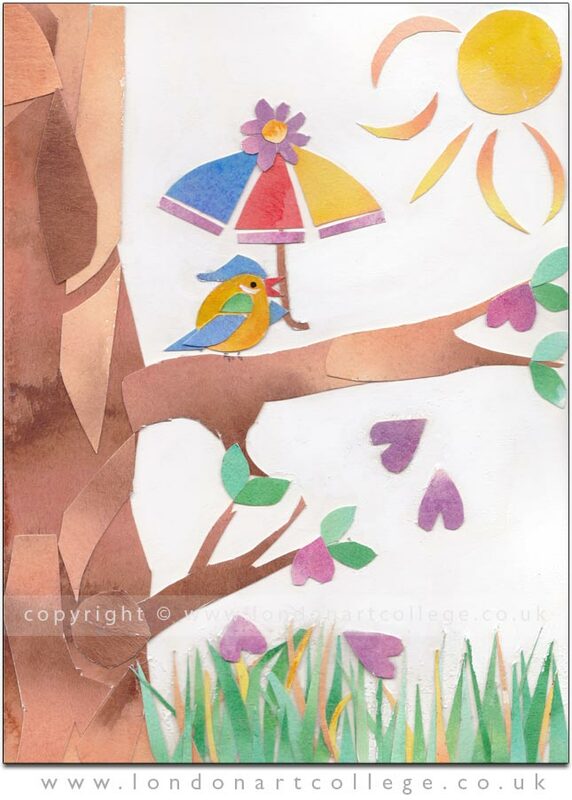 Charmain has created a beautiful piece here which brings to life the central bird character along with being colourful and eye catching for children. 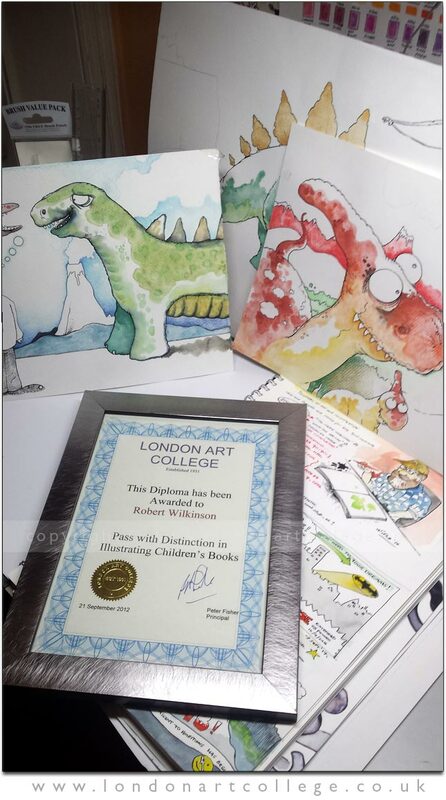 If you would like to see more artwork produced by students on the Illustrating children’s book Diploma Course, why not head on over to our website and view our Student Galleries. They can be very inspiring! 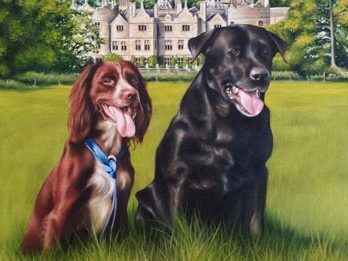 We hope that you enjoy viewing Charmain’s artwork and we would like to wish all of our students and happy and productive weekend of painting and drawing. 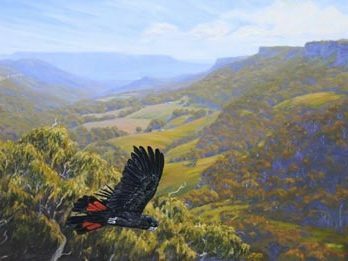 Alfred Blakers successfully completed the online Landscape Painting Art Course studying with tutor Alan Dedman. 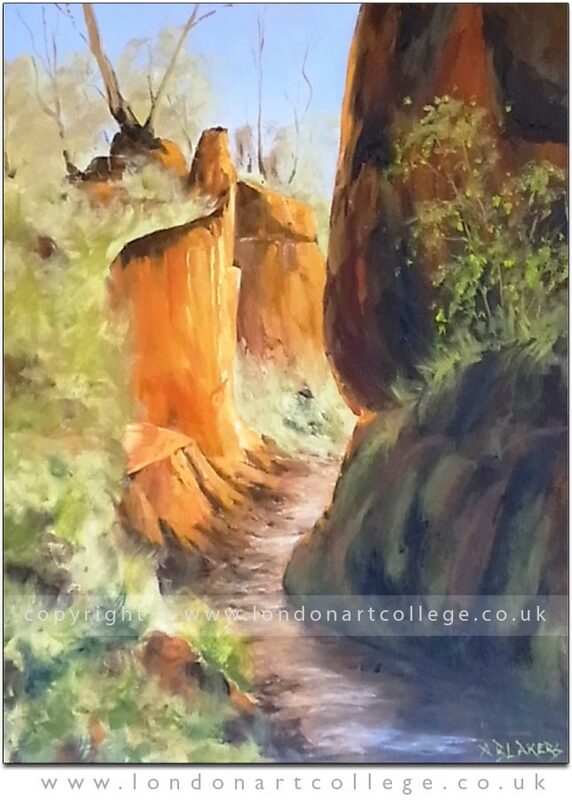 Students can experiment with painting landscapes in watercolour and oils. They can work out in the field from life or from the comfort of their own home working from photographs. Alan encourages his students to research and experiment with creating watercolour sky studies of ever changing clouds at various times of the day. Students have painted some amazing studies and you can see just a few of them in the Landscape Painting Student Gallery. As you can see from the painting below Alfred has created a beautiful and dynamic piece. 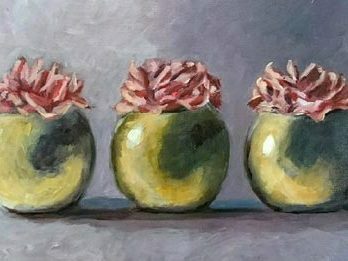 Alan works with his students helping them with their colour mixing (Alan also tutors the Colour Awareness Course) and guides students in learning how to create depth and distance using colour and tones within their paintings. We hope that you find this painting inspiring! Why not drop us a line if you have any questions about enroling on the Landscape Painting course or purchase your course and get started today! 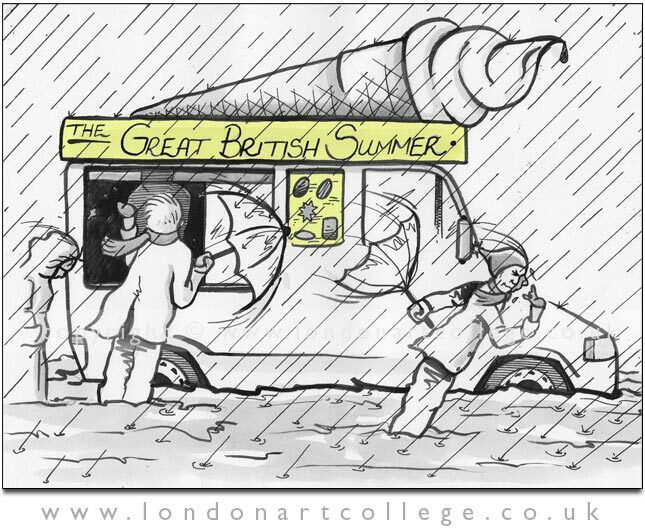 Online Art Courses by the London Art College. Study with us! 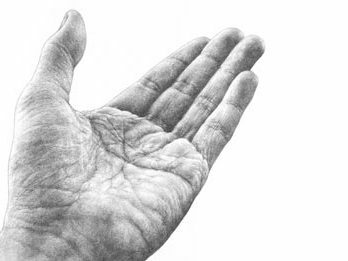 We provide 30 online art courses for all ages and all abilities. 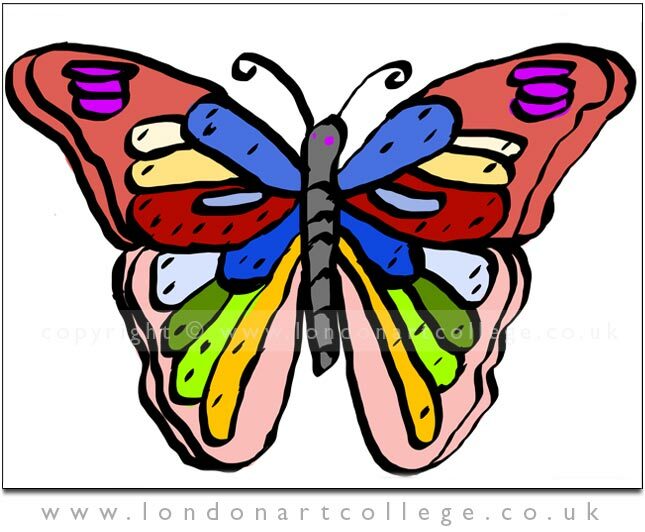 Every student has access online to their own personal tutor who will help and guide them through their art journey. 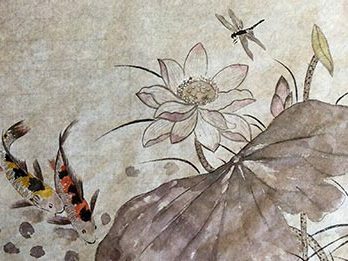 Our online art courses courses are perfect for those students with work or family commitments as you can start and enrol at any time of the year. There are no entry requirements, you don’t even have to have picked up a pencil or paint brush before. 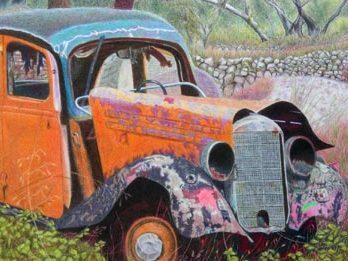 Our beginner short courses – learning to paint and learning to draw are a wonderful introduction to start you on your creative path. Or enrol on our longer drawing and painting course. We will help you get started and give you all the tuition needed for your new adventure. Or you are looking to further your art career …….We have the perfect online art course for you. Don’t forget to sign up below for our weekly newsletter to read art hints and tips, watch art videos, read about students and their artwork and see and read about the artwork of famous artists for inspiration. If students would like to see their artwork featured from their online art course, email us your text and artwork and we will include it for you! Craig Waterworth is studying with John Byrne on the Scifi Fantasy course and has created this amazing piece of artwork. 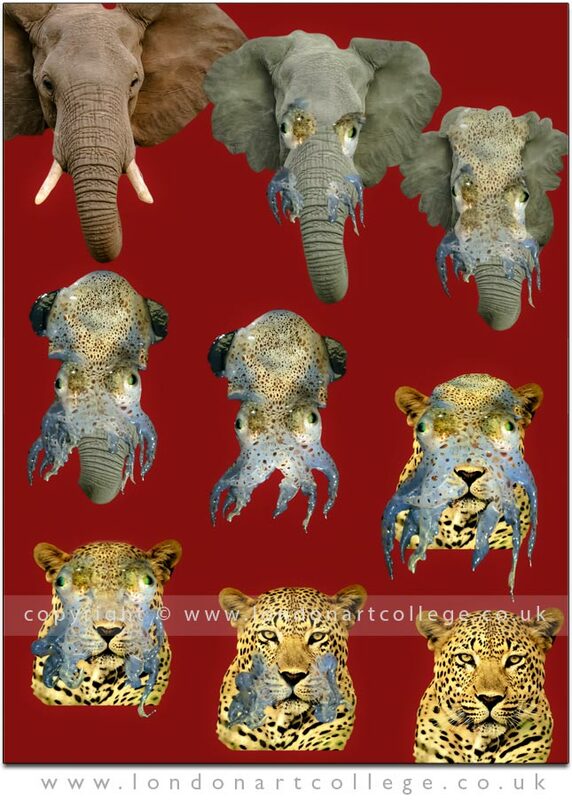 The idea of to morph three animals in sequence and Craig has used an Elephant, Octopus and Leopard. It has been very cleverly created using photo editing software and there is a particular skill set needed to mask out the animals correctly. Craig has achieved this beautifully. What photo editing software do you all use? Perhaps you can post to let other students know which ones are easy to use and user friendly! If you want to have a go at this exercise post your photos on any of our social media pages – we would love to see them! This very bold digital drawing was created by one of our students while studying on the iPad course. Elaine Richter used a drawing app on her iPad to create this fantastic illustration of a butterfly. 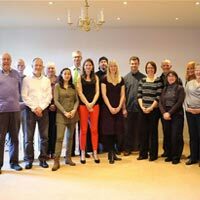 The iPad course has now been developed further and has turned into the most wonderful Digital illustration course and you can read more about it on our website. 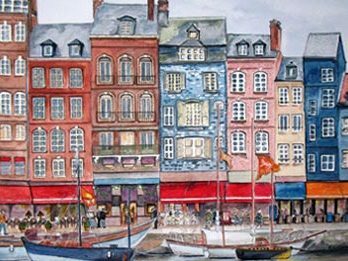 It is tutored by the very talented artists Spencer Hill who has a good rapport with his students. Have any of our readers or students tried drawing on their iPads? Why not post your artwork on our Facebook page for us to see!